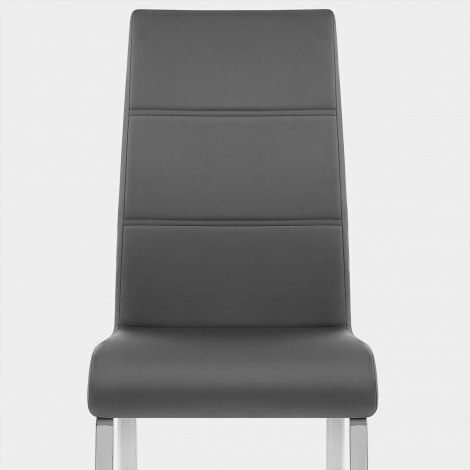 Instantly update your dining area with the Sherman Dining Chair Grey, a stylish design with a fabulously versatile look. With its fantastic comfortable design, contemporary look and practical features, the Sherman is an excellent modern choice. Covered with gorgeous grey faux leather with segmented detail, its neutral aesthetic is a stunning accompaniment to any interior. 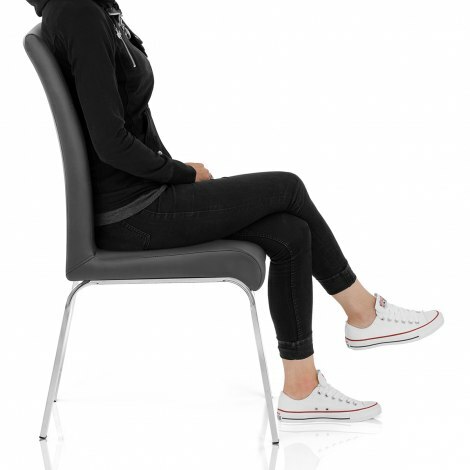 Plus, thanks to its tall backrest and foam padding it is remarkably comfortable. Slender but sturdy, the polished chrome frame imparts excellent stability, complete with protective plugs to help to avoid damage to floors. "Quality of the product is second to none"
Excellent service, good communication throughout the experience. Chairs are good quality adn came well wrapped. It was an absolute joy dealing with this company. The time of delivery was precise to the minute and the courier polite and efficient. I have never before experienced such ease of ordering online and such efficiency and just wish other companies would take a page out of the Atlantic book. To cap it all, I am delighted with the quality and price and have already recommended Atlantic to friends and will order from them again without hesitation.